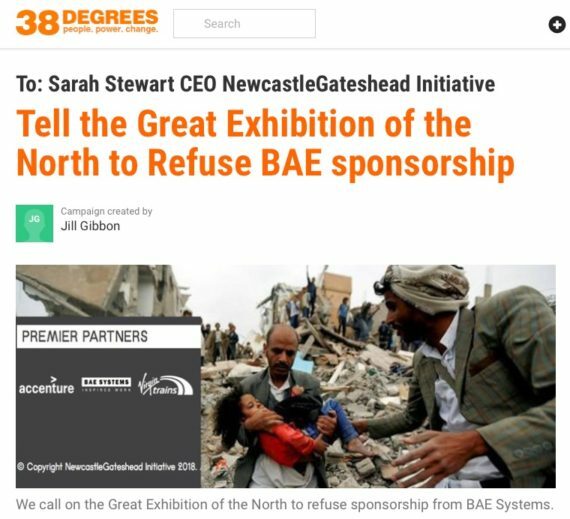 On March 7, musicians, artists and the Arts Not Arms campaign forced the “Great Exhibition of the North 2018” to end its partnership with weapons manufacturer BAE Systems. The Exhibition, which will take place between June 22 to September 9 across Newcastle and Gateshead, was initiated by former Chancellor George Osborne to showcase the achievements of the region dubbed the “Northern Powerhouse”. The organisers claim the Exhibition is expected to reach an audience of three million people, including more than one million visitors from across Britain and overseas, making it the biggest event in England this year. It is sponsored by £5 million from the government, but the onus is on host councils to raise an equivalent sum from northern business and organisations. The organisers had secured BAE Systems as a “premier partner” alongside Virgin Trains, Accenture, Arts Council England, Heritage Lottery Fund, VisitEngland, Innovate UK and other corporate partners. Arms monopoly BAE Systems is the largest manufacturer in the North of England, employing 18,000 people. It is also the largest manufacturer in Britain and third-largest weapons manufacturer in the world. Its biggest operations are in Britain and the United States, where its BAE Systems Inc. subsidiary is one of the six largest suppliers to the US Department of Defence. It is involved in the production of fighter aircraft, tanks, armoured vehicles, guns, munitions, bombs and other weapons systems that were used in the invasion and occupation of Afghanistan and Iraq. They were also used in the bombing of Libya in 2011 and are presently being used in the bombing of Iraq, Syria, Yemen and in Anglo-US wars and interventions throughout the world. These wars have resulted in a massive death toll and forced people to flee for their lives as refugees in their millions as their countries have been destroyed. 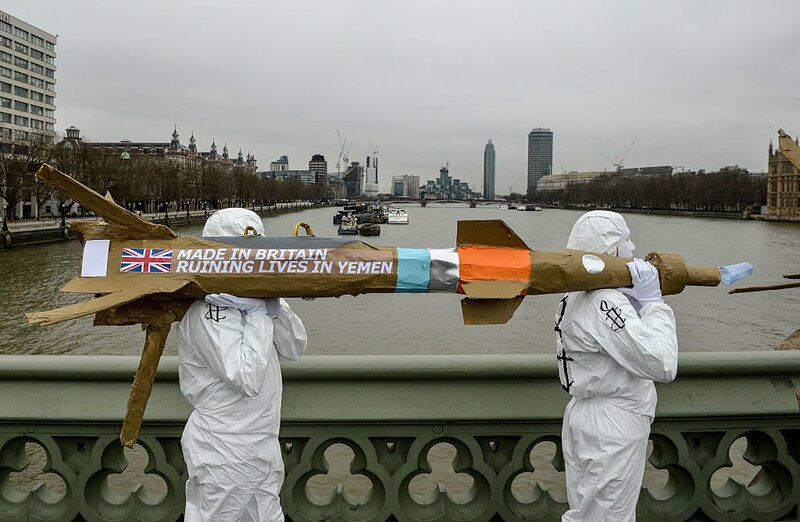 It was reported that last year, the chairman of BAE Systems, Sir Roger Carr, refused to confirm or deny whether the firm’s staff in Saudi Arabia are loading bombs and missiles onto fighter jets involved in the bombardment of Yemen. The arms manufacturer has 6,200 staff in Saudi Arabia and is part of the war machine that is bombing Yemen. Nadine Shah, a singer-songwriter from Whitburn, South Tyneside, who was due to perform in the cultural programme, withdrew from the event on March 2. “I will no longer be playing the @getnorth2018 festival now that I have discovered BAE Systems are a sponsor,” she said in a Tweet. “I am disgusted to hear of their involvement and refuse to be in any way associated with them. I encourage all artists involved to follow suit.” Other booked artists also started to withdraw, including the Leeds-based Commoners Choir and ceramic artist Emily Hesse. This stand of the artists is just and shows how hard it is in Britain for the ruling elite to justify their crimes against peace. It represents the striving of the people for peace against attempts by the arms monopolies to militarise cultural events with the aim of furthering Britain’s wars abroad and war production at home. The concern of the artists is the concern of all. However, the working class needs to take up its leading role in this fight based on its own internationalism to fight for a future without war. 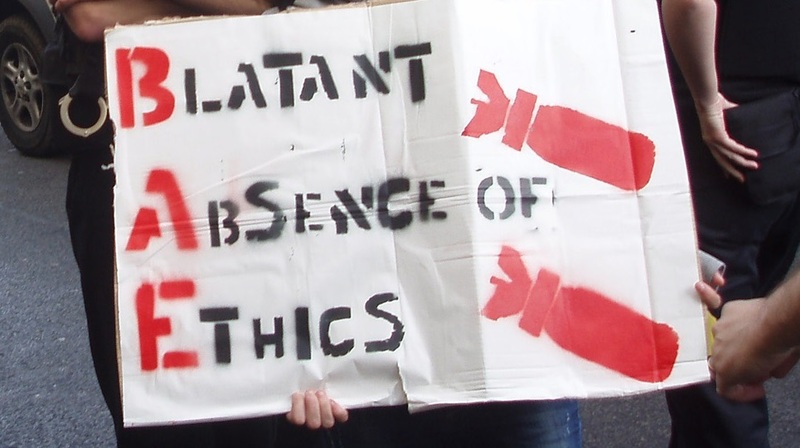 It is not in the interests of the working class that the economy is based on militarisation and left in the hands of these war industries and warmongering governments. The necessity is for the workers to fight to empower themselves to give an anti-war direction to government, the economy, culture and education.